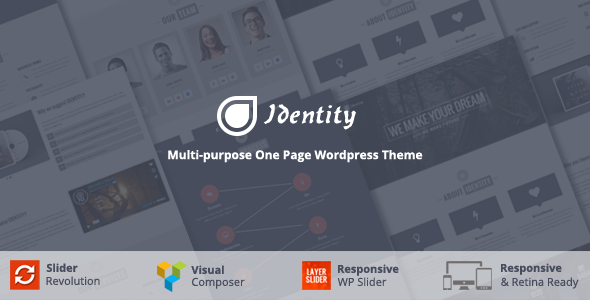 Identity is a OnePage WordPress Theme that fit any agency. If you have a creative design agency, web development agency, start-up company or any business company then identity is your choice. On the other hand it can be used as a product page or service landing page. It comes with many features and plugins without the need to pay for. Fully customizable: unlimited colors, backgrounds , font options and more.